Our residential aluminium doors are a popular product that have been designed to match our aluminium windows and bi-folding doors. This range of doors and windows offer slim lines, modern locking and great looks. The range also offers thermal efficiency, strength and security. Our doors come with a wide range of furniture, colours, thresholds and glass – to suite any home. Due to the modern design features, these doors also comply with Document L October 2010 for new build, refurbishment and extensions. For the discerning, style-conscious homeowner, aestheticism is a key consideration in the undertaking of any renovation – whether or large or small – and the doors of the house are certainly not exempt from scrutiny. Given the importance of an appearance that goes beyond being merely presentable and the role that a door can play in acting as a focal point for the exterior of the building, aluminium is often excluded from consideration given its more robust, practical nature. However, here at Countryside Windows (premier providers of both windows and doors south west) we firmly believe that aluminium doors can be used as an effective contributor to an aesthetically-pleasing house design just as much as wood or UPVC can. Our exceedingly popular range of residential aluminium back doors are beloved by many, and are the ideal complement to our selection of aluminium windows and bi-folding doors. The aluminium collection available at Countryside Windows offers your house a sleek, ultra-modern design that can integrate with a breadth of other fittings, all whilst being outfitted with the latest modern innovations in locking to ensure that the crisp design remains easy on the eye without compromising on the feeling of home security inherent to a material as imposing as aluminium. In addition the benefits offered by the aforementioned unison of aesthetics and security, aluminium back doors merit serious consideration due to other qualities inherent to the material itself. Its strength and durability guarantee a long lifespan following installation whilst minimising the need for maintenance and repair work in the future, ensuring long-term peace of mind for you as the homeowner. 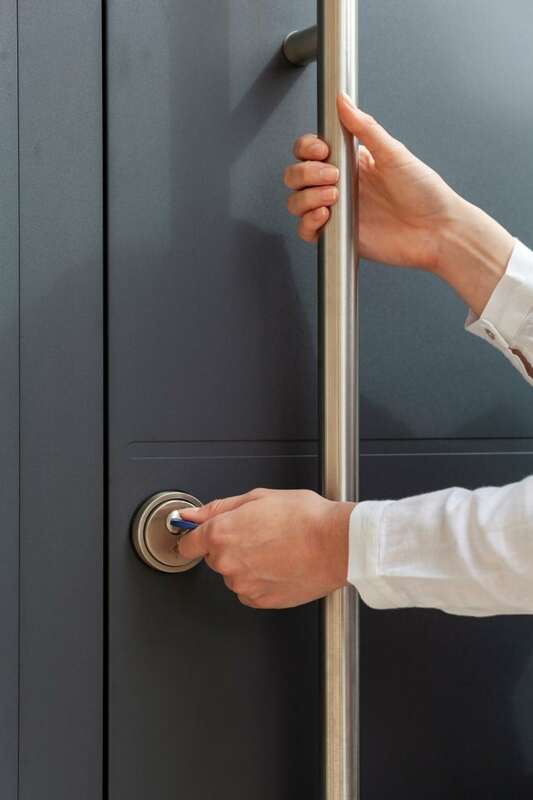 Aluminium is also noted for its level of thermal efficiency, and doors constructed from it are highly effective at keeping your home insulated and maintaining a pleasant temperature (even during the winter) whilst reducing the amount of input required from internal heating devices, keeping you warmer and keeping your energy bills down. Finally, the modernity of both appearance and manufacture ensures that not only are these doors able to blend seamlessly with even the most contemporary of design schemes, but that they are fully compliant with the October 2010 amendments to Document L of the United Kingdom building regulations. These amendments tasked manufacturers with meeting much more stringent requirements on the energy efficiency of their products, and by meeting these guidelines the windows on our aluminium back doors guarantee desirable performance levels in this regard. All told, these doors bring with them benefits across the board, from the way they look to the way they operate. With Countryside Windows proud to supply a wide range of designs and incredibly affordable prices, if you’re looking for doors south west you’d be incredibly hard-pressed to find a more sensible alternative. So why delay? Get in touch for a quote today.